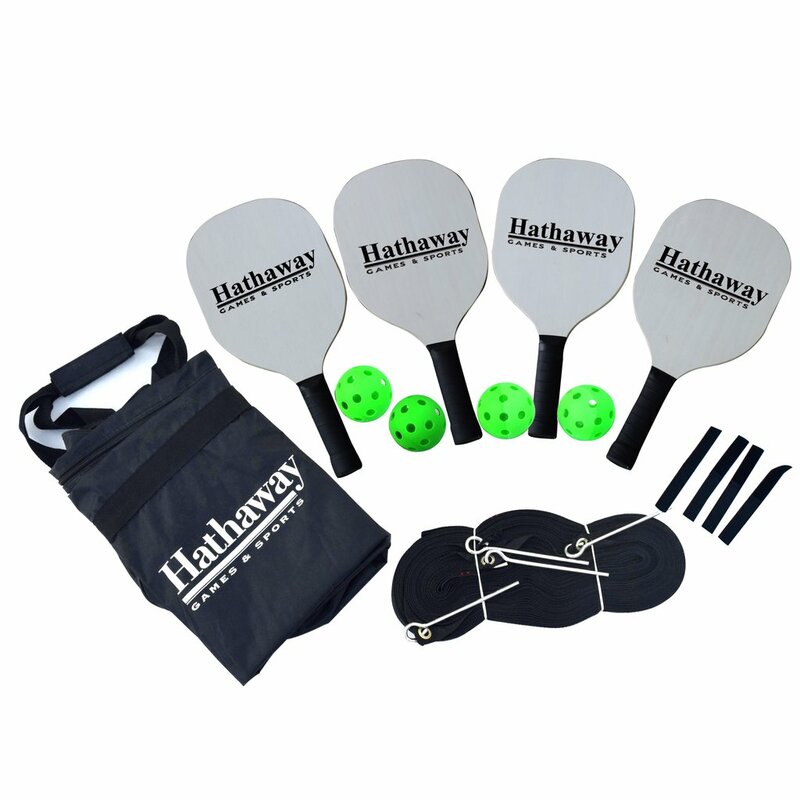 The Hathaway portable Deluxe Pickleball Game Set was engineered for portability and quick set up. 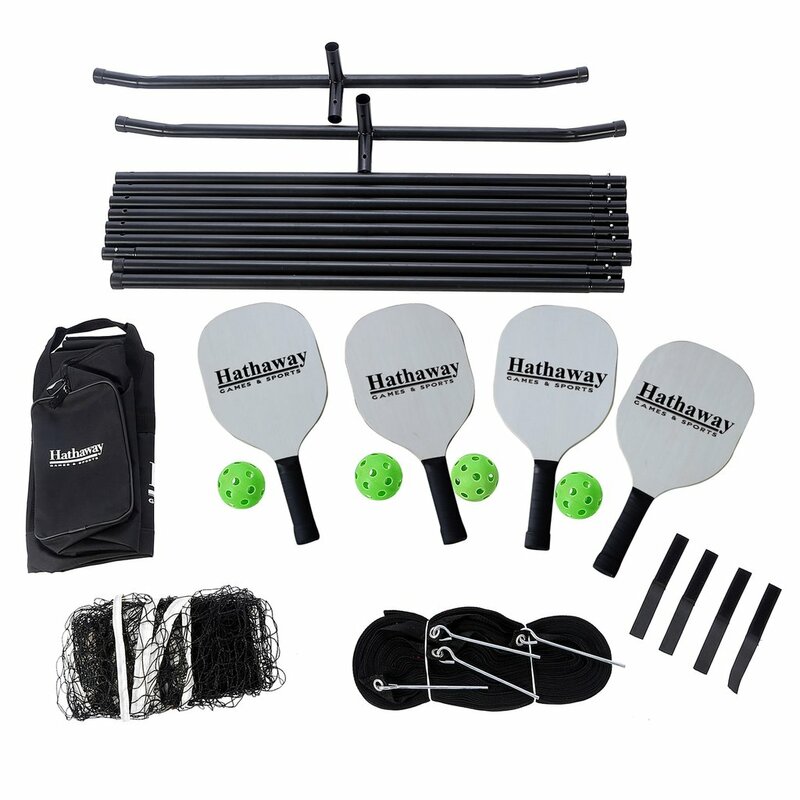 This complete set includes everything you need to play a competitive game of pickleball. 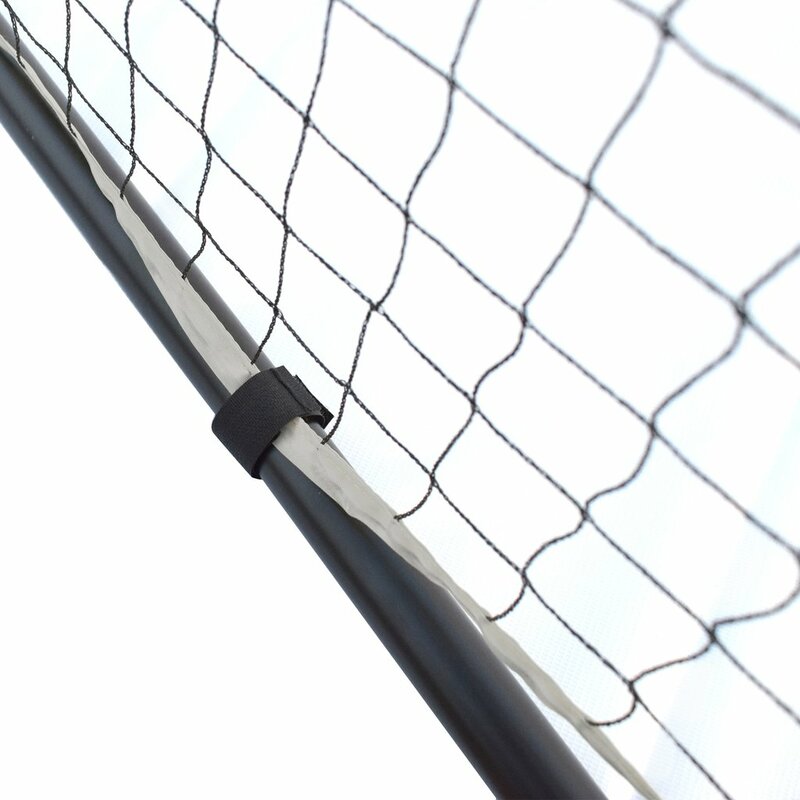 It can be quickly set virtually anywhere you want. 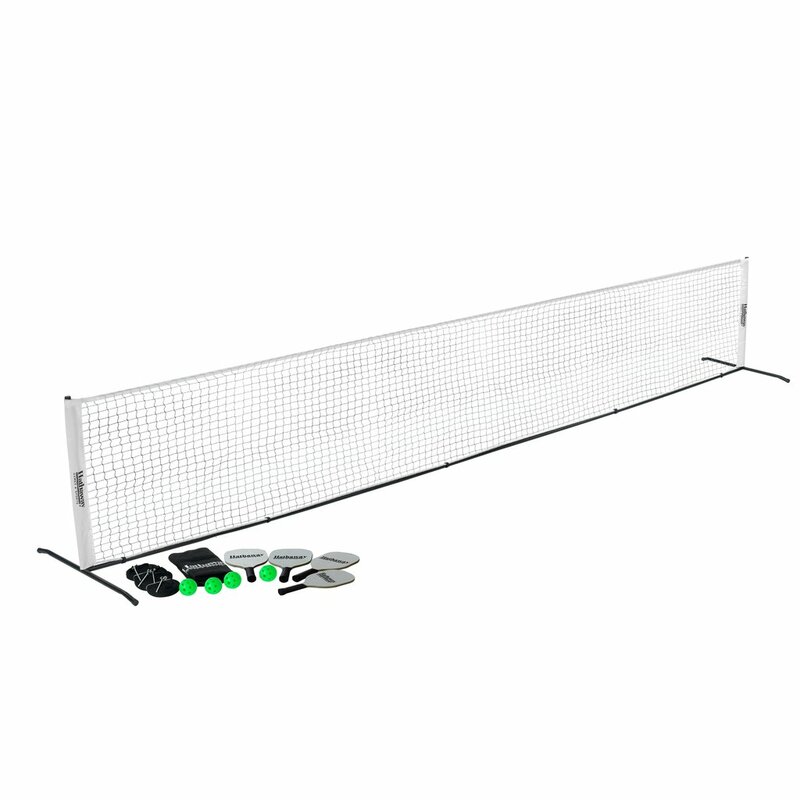 Pickleball, a combination of tennis and badminton, can be played on any hard surface using lightweight wooden pickleball paddles and extra-tough plastic pickle balls. 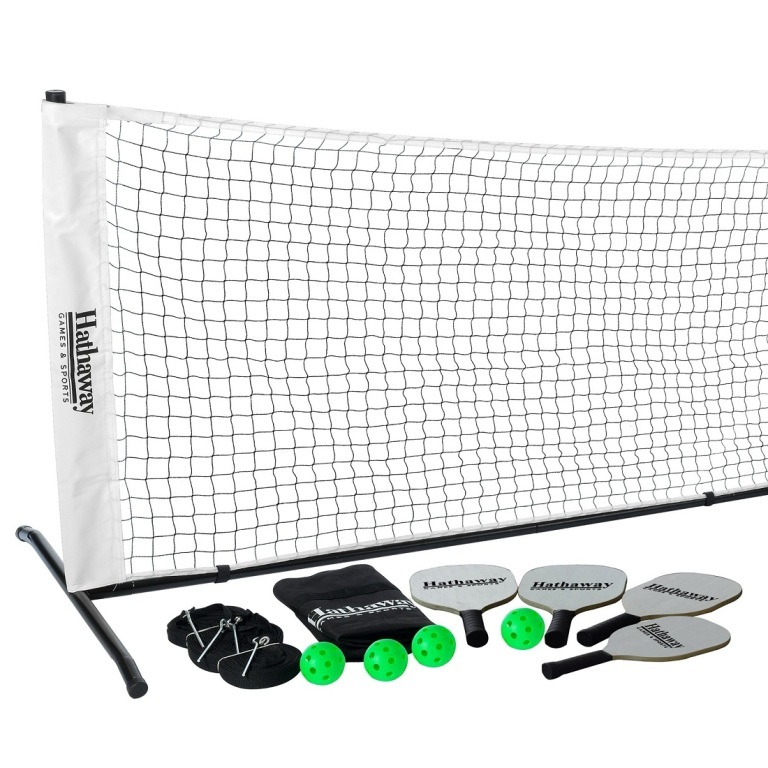 With the handy rip-resistant nylon carrying case, you'll keep the pieces of this essential game together and ready for a family or neighborhood match.